RUSH: Here is James in Boise, Idaho. Great to have you on the EIB Network. Hello. CALLER: Good morning, sir. Or afternoon now. RUSH: Yes, sir. You’ve been on hold since this morning. I’m sorry about that. CALLER: No, no. It’s no problem. It’s great to talk to you again, the great American that you are. I had a question about William Barr, sir. 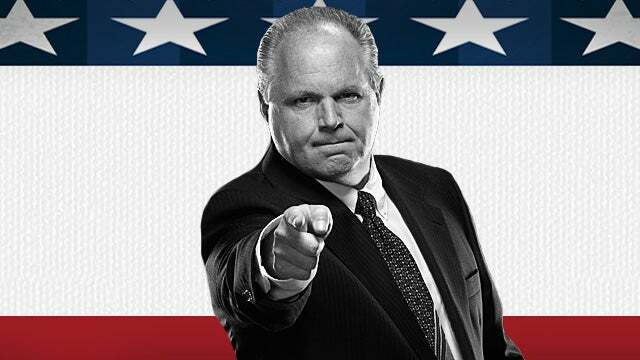 RUSH: Well, they can’t get him for contempt of Congress. He would have to not show up for contempt of Congress. I don’t think, unless he told just one heck of a whopper, which he didn’t do, I don’t think they could go at him for contempt of Congress for lying to them. But just ’cause they don’t like his answers — this is why there’s separation of powers. They have oversight, but they don’t have any power in the executive branch. RUSH: No. The weapon they have is funding, and this is designed. If they don’t like what a president or an FBI or a DOJ is doing, they can always withdraw or withhold funding. And it’s designed this way. It’s supposed to be really hard in this country to amass king-like, dictatorial or authoritarian power. It’s supposed to be impossible to do. But in order for that, the coequal branches have to struggle and fight every day to maintain their own power. Presidents will take as much power as they can get. Congress, during the Obama years, gave up a lot of their power. Congress basically, when the Democrats ran it, let Obama do what he wanted to do. They were enamored of Obama, they loved Obama, they are totalitarians at heart as liberals. And so having one guy with the ultimate power to implement their agenda, that was fine and dandy with them. But, see, they pay a price for that when Republicans take control of the House with a Republican president because now the Republican president has all the powers that were sequestered or given away during previous years, and the battle goes on and it’s a struggle back and forth, as designed. Everybody in Washington, the media, the Republicans in the Congress, said, “fire Bill Sessions.” Finally Clinton did it because of the cacophony. We even did a parody on that with Clinton having nightmares and dreams (Clinton impression), “Must fire Bill Sessions. Must fire Bill Sessions.” It became ridiculous, this unified demand that Bill Sessions be fired. I don’t even remember what it was about. It might have been Midnight Basketball happening at 11:30 instead of midnight. I have no idea. But it’s really fascinating. Well, to some people it is fascinating, because human beings are involved, and to watch the jockeying for power, the back-and-forth really between the legislative and the executive. The judiciary, they’ve got themselves set up in fate city. A single federal judge can deny a presidential executive order simply because of his politics, not the law! But then the rest of that’s taken care of as the rest of the judicial system as you then appeal this and that. It’s a fascinating structure. It’s designed to prevent totalitarianism. RUSH: (Clinton impression) So I wanted to find out. I had to go find out why Bill Clinton had to fire Bill Sessions since I brought that up, and I took some time here during the last commercial break here on the Limbaugh show to go find out what it was.” Here are the details: “William Sessions was fired as FBI director during the Clinton administration after a report by…” Are you ready for this? (Dadelut dadelut dadelut! “…the outgoing attorney general, William Barr! Heh-heh-heh-heh. Yeah, William Barr was attorney general for Bush 41 and held over to Clinton.